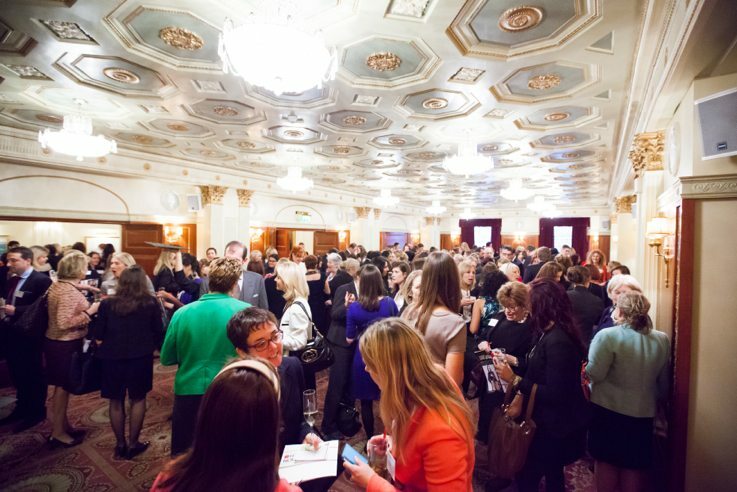 Between 12 noon and 4.00pm we pack a lot into our Annual Lunch including two opportunities to network with purpose during the pre-Lunch sparkling reception and the post-lunch Mix and Mingle. There’s also an inspirational and high profile Keynote Speaker. It’s a thoroughly modern event but with a twist of City tradition. A chance for 6 lucky guests to win one of our fabulous Lunch Prizes. Women in the City does everything it can to make all our guests feel relaxed and ready to enjoy the occasion. A few days before the Lunch we email everyone with a reminder of the Lunch Format, Venue Location and other useful information. On arrival, our guests are greeted by members of our volunteer Hospitality Team made up of students and young professionals. Attending the Annual Lunch gives these young women a wonderful opportunity to experience a high-profile occasion and meet influential business women and men. Read more about the 2016 Annual Lunch to be held on 10th November at Drapers’ Hall in the heart of the City of London.